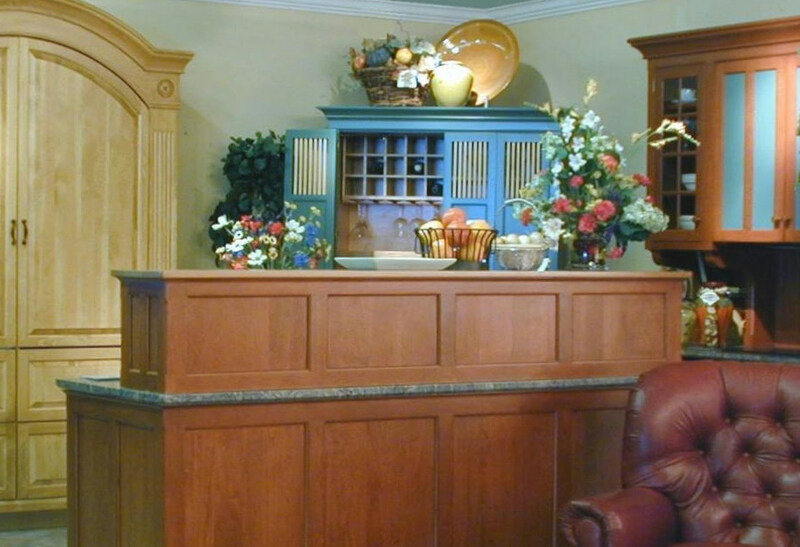 YesterTec provides custom solutions with versatile Kitchen Workstation Furniture. (Catasauqua, PA. April 25, 2018) A kitchen remodel is among the most disruptive of home renovation projects, often requiring the removal of counters, cabinets and appliances to keep up with changing design trends. YesterTec saves you from that hassle and expense with the timeless good looks and versatility of its Kitchen Workstation Furniture (KWF). Engineered as an extraordinary alternative to traditional “permanent” kitchens, KWF are stand-alone units that offer unprecedented design freedom and long-term value. 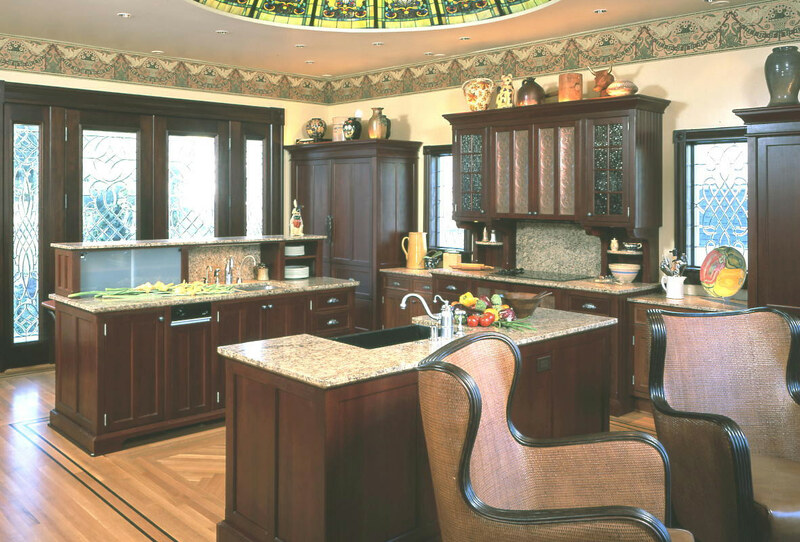 The KWF system allows customers to have safely concealed appliances inside heirloom-inspired furniture that stands the test of time for elegance and quality. Even the most beautiful kitchens eventually become dated and worn. Concealing appliances and cabinetry in freestanding furniture is a cost-effective solution to evolving design trends. You don’t have to have the latest appliances on display in your kitchen when you can simply close them away from view. When appliances wear out, new ones usually fit in the same space. It’s easy to update the look of a YesterTec kitchen with a new finish, door style or hardware. Customers can add a new unit or even move their existing one to a different spot. Changes can be made gradually to keep the look fresh without the frustration and cost of remodeling an entire kitchen at once. YesterTec designs work well in kitchens both large and small and come in a variety of sizes, finishes and styles to complement any décor. 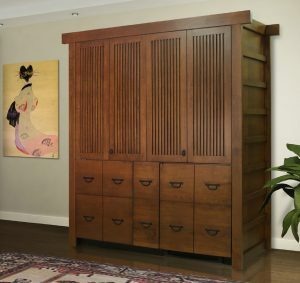 Perfect for multi-purpose living spaces, they blend seamlessly into rooms with strong architectural features by eliminating the need for linear cabinets and appliances. Although YesterTec kitchens may be “hidden” from view, they provide an impressive range of functionality and storage. From available full-sized appliances, generous pantries and expansive countertops, KWF units have everything needed to prepare dinner for two or a complete dinner party. Their unique U.L. Listed technology allows hot appliances to be safely concealed behind closed doors with a state-of-the-art system that allows electric cooktops, ovens and microwaves to be operational only when the unit’s doors are open and secured. This smart precaution eliminates a potential fire hazard and was an industry-leading development by the YesterTec team. Discover the benefits and value exemplified by Kitchen Workstation Furniture by YesterTec. Create a seamless, functional kitchen in any room to match any style. Learn more about the design possibilities at www.yestertec.com.